Happy Father’s Day to all the fathers out there! Today is your day and the Sunday Supper Movement is celebrating by sharing our favorite recipes for dad. This means our favorite grilling foods, desserts, beverages, and side dishes for dads. Truthfully, if I was going to make a recipe for my dad it would either be hot dogs or fried fish. However, I’ve shared my favorite fried fish recipes already and the ones I’ve shared are the ones he likes. I’m not sure there are any official recipes for hot dogs and I don’t eat them anyhow so that one was out as well. I’ve also already shared his Paska and pierogies recipes which are two of his specialties. So what I came up with was a Sweet and Spicy Arnold Palmer. Why this beverage? 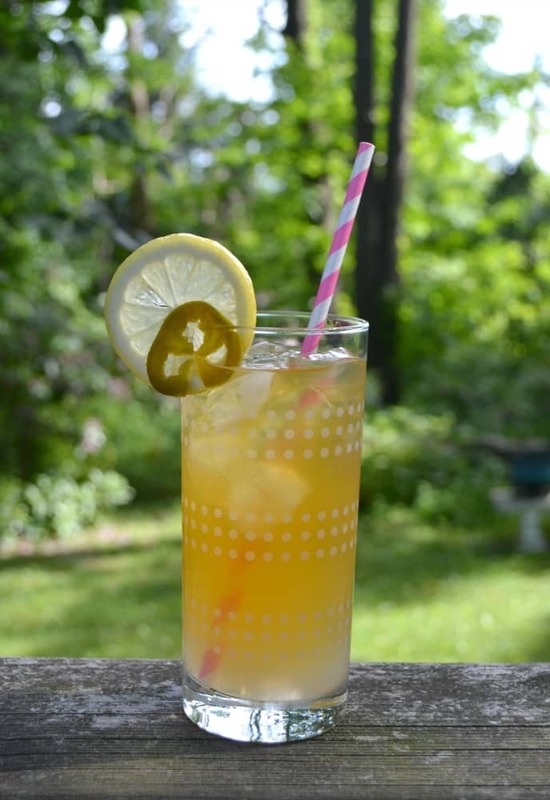 Well my dad loves tea with honey and lemon and I didn’t want to just make a tea recipe with lemon and honey so instead I decided to make this combination of iced tea and lemonade with just a touch of heat. I thought it would be something fun, different, and perfect for summer! 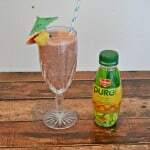 This is a really simple recipe and it only takes a few minutes to make. Of course I think the flavors get more powerful the longer the syrup sits in the refrigerator but you can drink one right away if you can’t wait. To start you have to make the tea from water, honey, and jalapenos. After the tea is made I divided it into glasses and topped it off with sparkling lemonade which added sweetness and lemon flavor. That’s it! 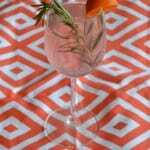 This is a really simple beverage recipe. 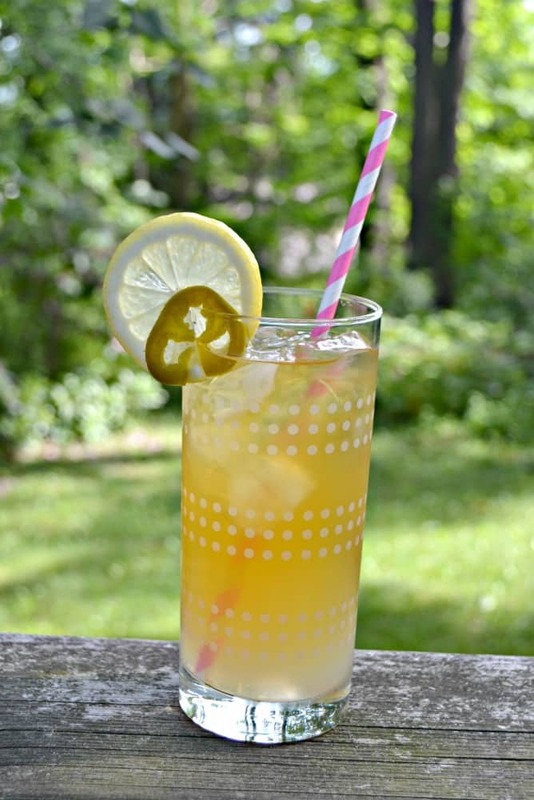 The Arnold Palmer is lightly sweetened and refreshing and then finishes with a bit of heat. It’s a great combination and perfect for the men in your life! 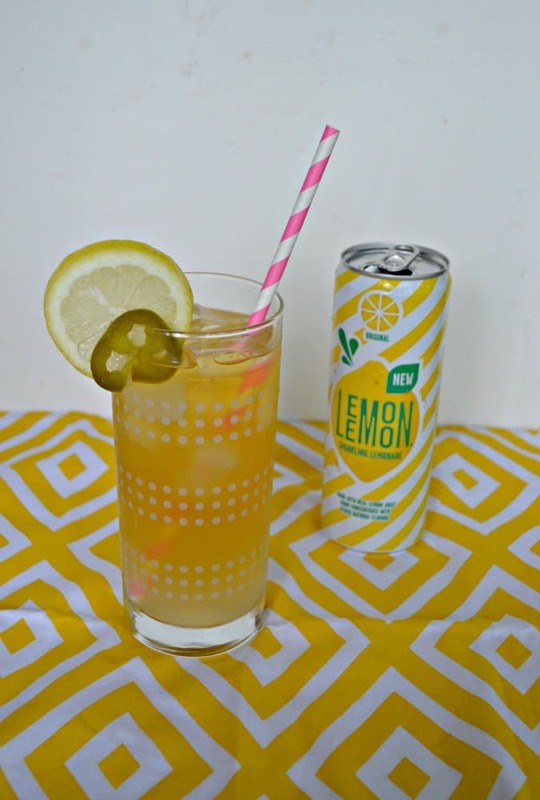 A lightly sweetened iced tea and sparkling lemonade combination that finishes with just a bit a heat from jalapenos. In a medium saucepan combine the water, jalapeno, and honey. Bring to a boil then remove from heat. Place the tea bags in the saucepan and steep for 5 minutes. Strain the jalapeno tea into a bowl or quart sized mason jar. Add in 1 cup of cold water. At this point you can refrigerate the iced tea until ready to serve. To serve fill 4 glasses with ice. 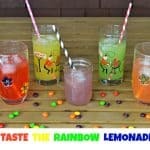 Pour 1 cup of the jalapeno tea into each glass then top with ¾ cup of sparkling lemonade. 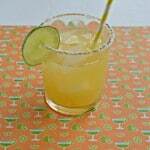 Garnish with a lemon slice and a jalapeno slice.